It’s entirely unclear if the 45 sports fans dressed as Magnum P.I. were bounced from a recent Detroit Tigers game because they were harassing female spectators or if the Tom Selleck look-a-likes were asked to leave because they were stealing the show. According to FOX News, this thing’s a total mess. Let’s start with the fact that it was “Star Wars” night at the ballpark. But instead of little kids with plastic light sabers, all anyone could talk about was the herd of middle-aged dudes dressed as Thomas Magnum, the character in the 1980s TV show. The group of guys dressed up as the mustachioed private investigator were apparently there for a bachelor party. News flash: heavy drinking is generally associated with bachelor parties. The guy that was having the bachelor party, Joe Tuccini, said he was told by stadium security that his group was ejected because of complaints that the Magnum dudes were cat-calling women in the stands. But he doesn’t buy it. He says the group was asked to leave because they were stealing the show and the Tigers were stinking up the joint by getting their butts kicked. At any rate, it was entertaining night at Comerica Park. 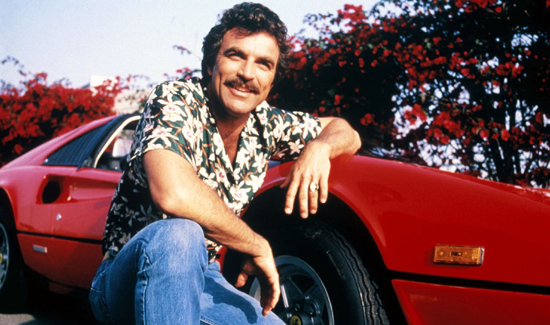 If you’re wondering why a bunch of guys would dress up as Magnum P.I. to attend a bachelor party at a baseball game, here’s why: the TV character was a Tigers fan and frequently wore a Tigers cap.